Eichardt Hotel offers five magnificent suites. All feature a super-king bed, fireplace and mini-bar, a dressing room and bathroom with a generous bath and double vanity, separate shower, heated mirror and floor. Each suite is fully entertainment and business integrated with personal audiovisual systems, along with email and Internet access. Eichardts Hotel is located in Queenstown, New Zealand. Queenstown is serviced by direct flights from Auckland, Wellington and Christchurch. Direct flights also operate from some Australian cities. Helicopter and private charter flights can be arranged from Christchurch. Alternatively, Queenstown is a 5-6 hour drive from Christchurch. This drive takes in some spectacular New Zealand countryside and a limousine transfer or car hire can be arranged. Eichardts Hotel in New Zealand is quite simply a Queenstown icon, born from the wealth of a booming gold-mining town. It then reflected the adventurous spirit of the early explorers of the hidden alpine valleys. It was a grand era with the walls of the hotel ringing with the laughter of a gallery of rogues, lovable and otherwise. Built in 1866 and lovingly restored, Eichardts is now one of New Zealand’s leading luxury boutique hotels. Her five suites are furnished with luxurious grace and provide a combination of perfect harmony with provincial elegance. Distinctive New Zealand uniques and furs combine for a warm and contemporary decorative finish. 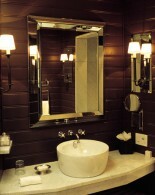 Set in the heart of town on the lakefront of Queenstown, each suite boats magnificent lake and mountain views. Eichardts Hotel is small and homely and provides guests with amble options for privacy and quiet. Enjoy browsing the variety of books in The Palour or adjourn to The House Bar for a late morning espresso. 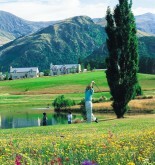 Eichardt’s is the ideal retreat set in the heart of the vibrant alpine splendour of Queenstown -a bright buzzing town. Queenstown is a delightful Alpine village with cafés, dining, shopping and nightlife. It has all the facilities and amenities you would expect in a world-class resort and offers a range of activies, year round. Eichardts Hotel is your home away from home and provide select boutique services. Breakfast and lunch can be enjoyed in The Parlour, The House Bar or the privacy of your own room. All other services can be arranged at local establishments including spa treatments and dinner reservations. Arrangements can also be made for a full range of Queenstown adventure sports including skiing, heli-rides, jetboat rides, bungy jumping and white water rafting. Queenstown is known as one of the adrenaline capitals of the world. Eichardts Hotel provides the perfect platform to enjoy a myriad of activities and adventure, in the comfort of a first class luxury hotel. Each suite is equipped with WIFI internet facilities.